Magical things are always created at JLF! 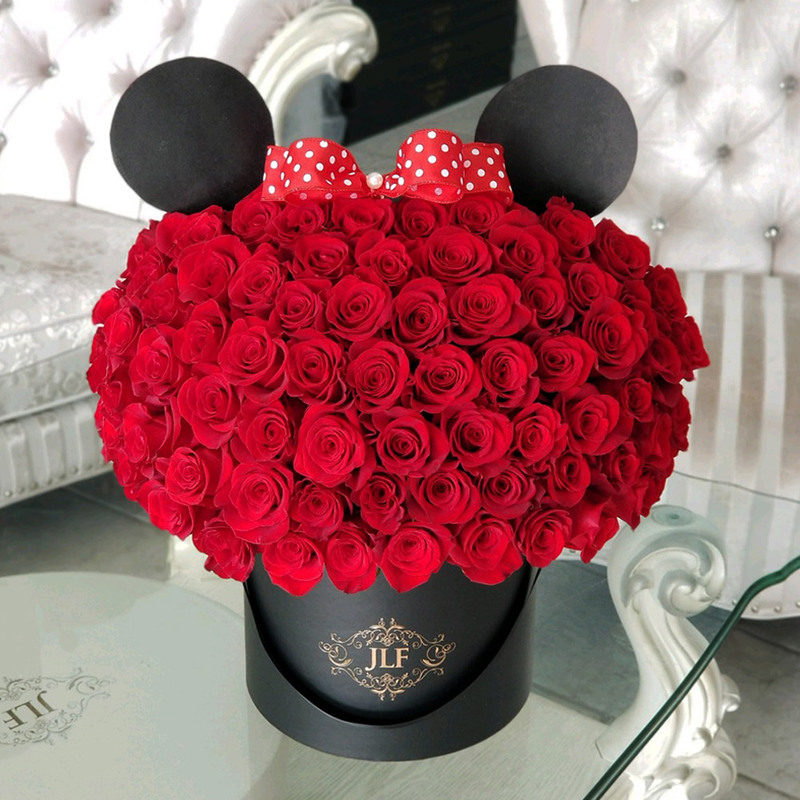 Here is our floral version of a classic Minnie Mouse made with 75 red roses. The arrangement in the photo is in a medium size box.